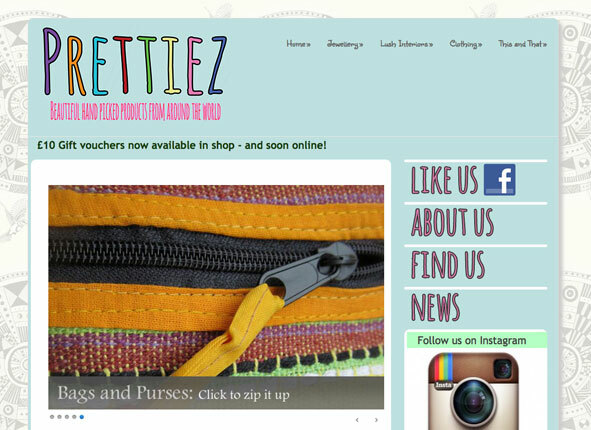 Keeley Clarke now has a shop as well as her touring bazaar! The site keeps people up to date on her newest stock, dates for the bazaar events and ticket sales. E-commerce didn’t really work for Prettiez as nearly everyone said that they preferred the tactile non virtual experience – but the vouchers may change that. The virtual bit let’s them see that there’s a new reason to visit – new stock! The site is supported by a very active Facebook and Pinterest.